National Centre for Quality Management was established in 1985 by a group of eminent industrialists and professionals as a not-for-profit organization devoted to promote quality at National Level. It is a premier professional institution engaged in promoting Quality culture in Indian economy through services like training, education, seminars, publications, research and advisory services. It is a society registered under Bombay Public Trust Act, 1950. 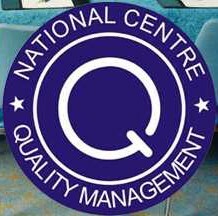 National Centre for Quality Management has its headquarters in Mumbai and extension centres in Noida, Ajmer, Navi Mumbai, Pune & Coimbatore. An Executive Director heads the organization and respective committees under the Governing Board guide NCQM’s various activities.